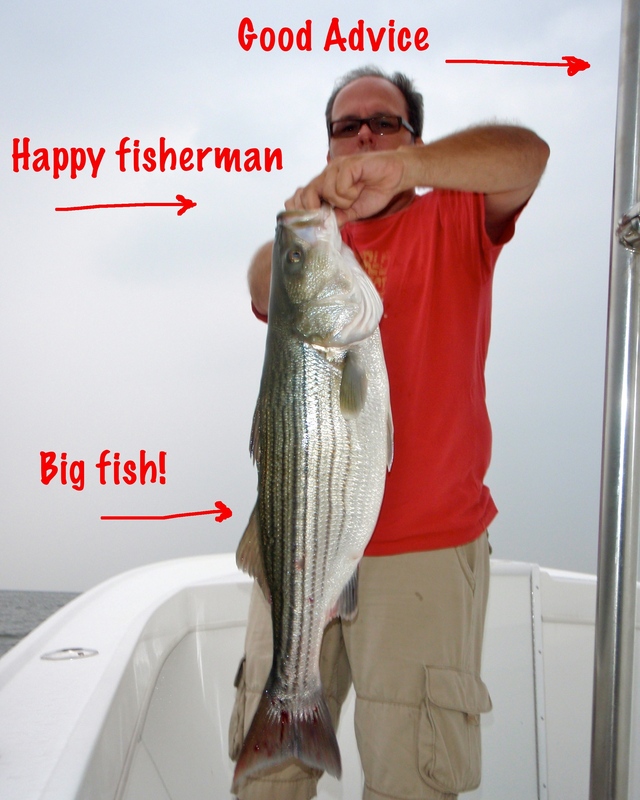 Have you noticed that some fishermen seem to steadily catch big fish and regularly have successful days even when others don’t? What are they doing differently? In my opinion, one trait of consistently productive fishermen is an appreciation for the concept of strike triggers. 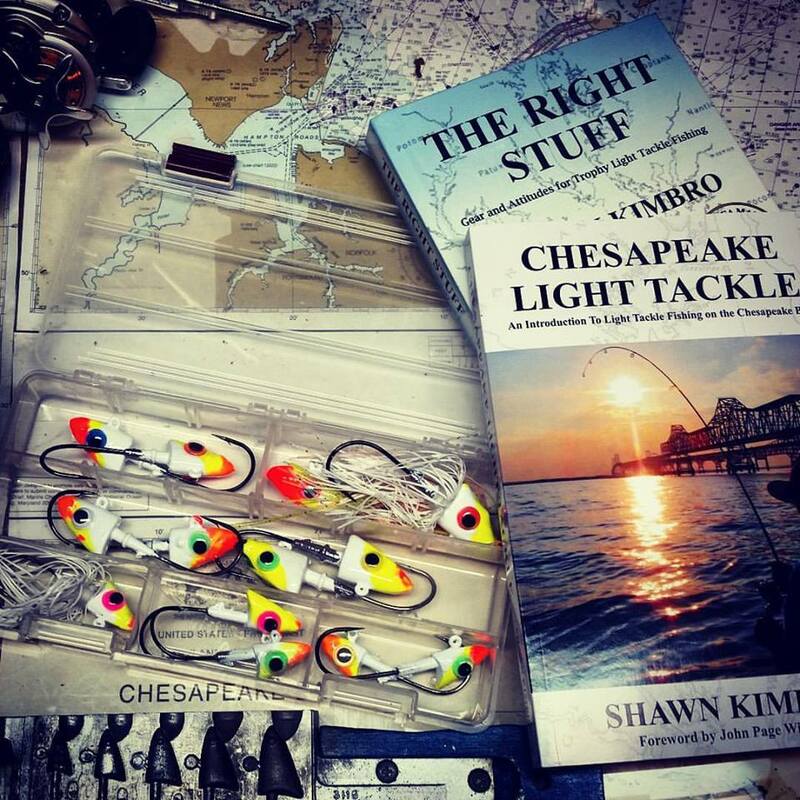 They may not always call it that, but you can pretty well bet that good fishermen are incorporating techniques in their lures and lure presentations that trick fish into biting even when they’re not particularly inclined to eat. It starts with a good understanding of the five reasons why striped bass attack a lure. Read More! Last December, I caught up with my friend Gaylon Thompson at one of my light tackle seminars in Severna Park, Maryland. 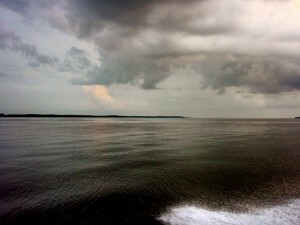 During the few minutes we had to talk, we wondered if we might be able to get in a fishing trip in early 2012. 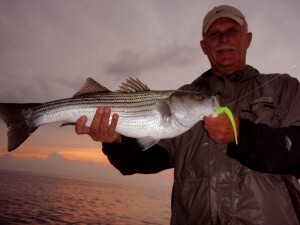 I was very excited when Rich Jenkins called me last week to say he and Gaylon were heading down to Virginia to fish in the ocean Monday, and I was invited. He also invited Jamie Clough. 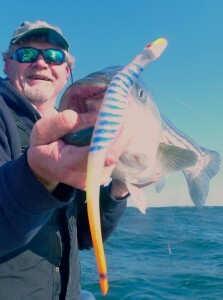 We’ve been hearing about the coastline bite for a while now from Wild Bill and other fishermen who follow the migration. 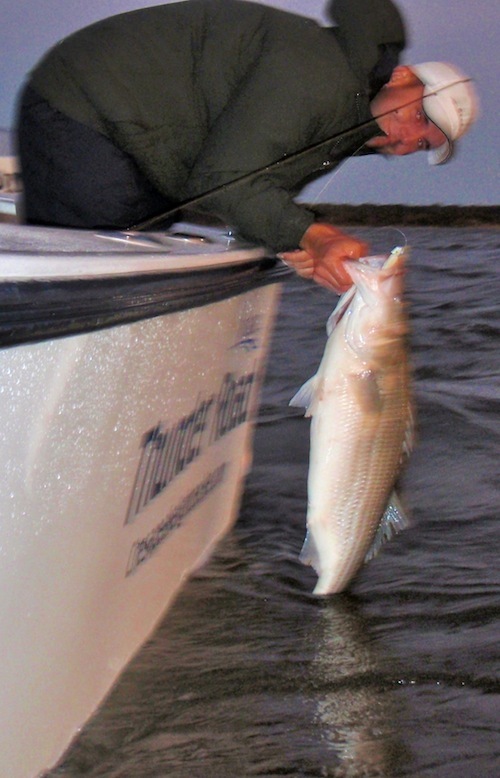 Even though I’m turning up a few hard-to-catch but very big fish here in the Bay, we couldn’t resist giving it a go. Our first challenge was deciding whether to fish the Chesapeake Bay Bridge Tunnel, or the ocean. We called, emailed, and Facebooked everyone we could think of seeking advice. Some of our friends came though, especially “Hillbilly Boater” Jack, and a couple of Jamie’s buddies. I also got some good info from some of Tattoo Charlie’s buds on Facebook. Read More! “One last drift,” I called up. My son was casting from the bow while I piloted the boat. It was getting dark and we had New Year’s Eve dinner plans in Annapolis, so we had to go. The better fish were holding in a warm water pyconocline; a spot no bigger than a pickup truck bed, 40-feet deep. I pointed the bow of my 27 Judge CC into the swift current and idled us into a position just downstream from the rocky corner. Daniel compensated for the strong flow and launched his hotrodded chartreuse BKD toward an imaginary spot 20-yards upstream from where he wanted his lure to touch the bottom. In water this swift, he’d be lucky if his jig bumped the rocks three times before it drifted downstream out of the strike zone. A successful cast either caught a fish, or brought up a clump of the brown bryzoan moss that covers the bottom. The only other option was to hang up. He brought his elbows together beneath the low-profile baitcaster and followed the arc of his line with his extra-fast rod tip as he anticipated the slight bump that would tell him his lure had touched the rocks. Bump. There it was. A quick snap of the wrist picked the jig back up before it had time to snag on the bottom. Again, he followed the line with his rod tip and waited for the bump as the lure fell. Watching the drop. Anticipating. Any moment now. Slam! 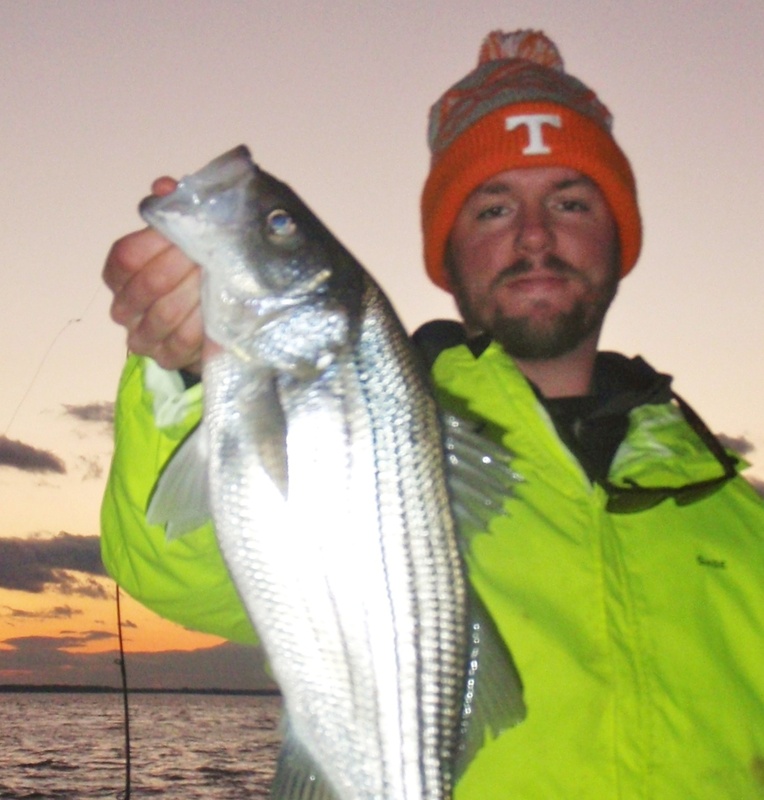 Daniel set the hook and fought another 24-inch football-shaped striper to the side of the boat. 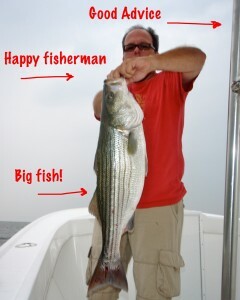 That made seventeen in 90 minutes – a fun evening of catch & release fishing very close to home. Read More! Since I’ve reported bigger fish on recent trips, I’ve been overwhelmed with questions from fishermen who want to know where the fish are. The big fish are moving around very quickly and they are rarely at the same place twice. Even on days when I find them right back where I left them, they’ve been very wary and hard to catch. It’s been a challenging season, but if you look at my mid-October fishing reports from last year, you’ll see that the pattern is nearly the same. I think we sometimes put too much emphasis on locations, and not enough on patterns. Tell someone where to go to catch a fish and you may help them for a day, but teach them how to identify specific patterns in how fish behave, and you’ve helped them for a lifetime. Ask any accomplished fisherman the secret to repeated success and he’ll tell you it’s the ability to identify specific feeding patterns. I believe that you can drop a good fisherman into any body of water in the world and he’ll catch fish as long as you give him enough time to recognize the prevailing pattern. It’s especially important on the Chesapeake where circumstances change quickly and rapid drops in water temperature are not unusual in October. I think fishing conditions shift faster and more often here than anywhere I’ve fished before. 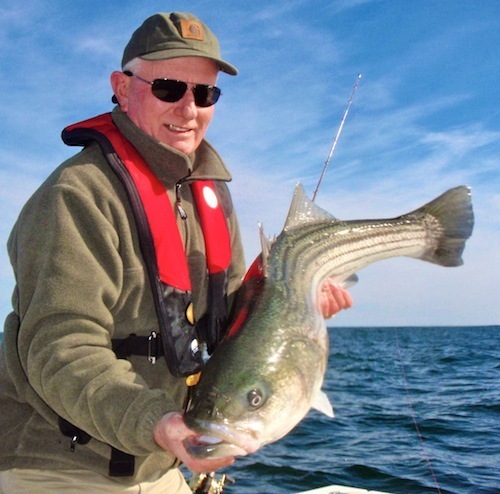 Fortunately, fish are creatures of habit and there are distinct patterns to their behavior. Maybe you’ve heard someone recite another old saying about “the three stages of a fisherman’s life.” It goes something like this: The first stage is when the angler’s main objective is to catch as many fish as possible, the second stage is when the angler only searches for the larger fish, and the third and final stage is when size doesn’t matter and the capture is unimportant, but satisfaction comes from the way the angler tricks the fish. I usually nod my head in agreement when I hear that, but c’mon now, I don’t know one single fisherman who, when given a choice, doesn’t cast toward the biggest fish in the pond. We can wax poetic about the joys of baptizing ourselves in the boundless beauty of nature, and we can sing the praises of that peaceful solitude we find out on the open water, but screw it – the bottom line is, no matter how we are fishing, we want to catch a whopper! In this third and final segment of the Gimme a Breaker series, we’re looking at ways to get the lunkers out of surface blitzing Chesapeake rockfish. Read More!